In an increasingly competitive marketplace with big, disruptive players like Amazon becoming customers’ go-to for products of all kinds, retention has become an even more critical component of brands’ growth strategies. For Diet Direct Inc., the leading online source of protein diet supplements, email is a crucial channel for engaging and retaining current customers. But when subscribers don’t open their emails, Diet Direct misses opportunities to interact with customers and serve them on a more personal level. In an effort to put a more human touch on their marketing, Diet Direct decided to get scientific with their content strategy. Challenged to increase engagement through email marketing campaigns, Diet Direct wanted to gain a better understanding of the best way to speak with customers. They turned to Persado. 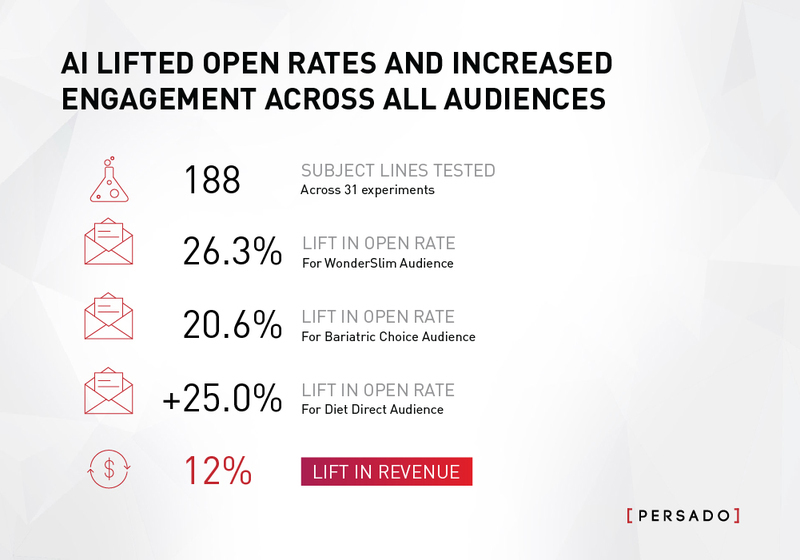 Using Persado’s AI technology, Diet Direct learned that speaking the customer's language not only impacted open rates, but it also opened up the funnel and drove meaningful revenue growth for each audience. “Hello There” evokes a sense of Intimacy. It addresses the consumer in an informal way and implies there’s a relationship there. 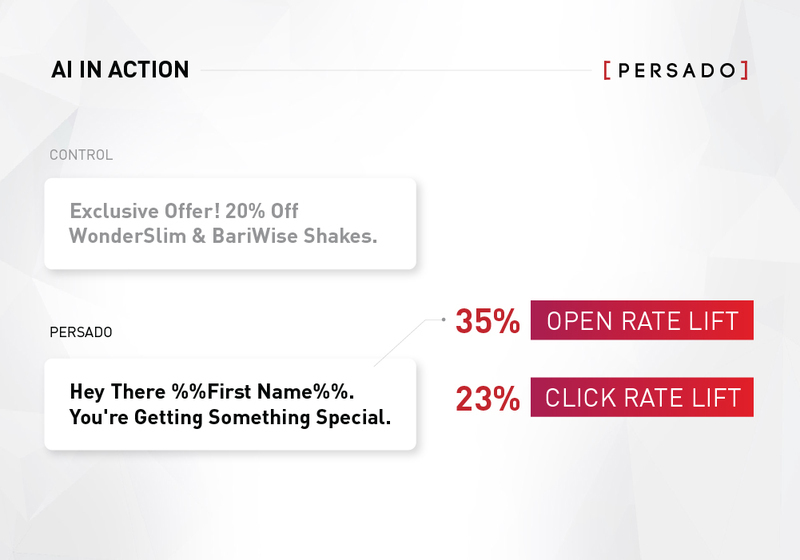 Turns out, Diet Direct’s audience best engaged with this language rather than Exclusivity (“Exclusive Offer”). All Persado-written messages included first-name personalization, which drove higher engagement than the control. Dan Seligson, Vice President of Marketing at Diet Direct, explained that getting the message right circles back to the basics of good marketing. "We found that by speaking the customer’s language at the beginning of the conversation— the subject line—the end of the conversation improved as well. Ultimately, this is what marketing and brand building is all about: the emotional relationship with customers." Given the challenges that Amazon presents to companies that rely on customer loyalty, building a personal relationship with the customer in a way that the retail giant cannot is essential. Dan and his team see how leveraging AI and machine learning can help them create more personal, human connections with their customers and drive consistent improvements across their business.